I'll be on Catholic Answers Live! 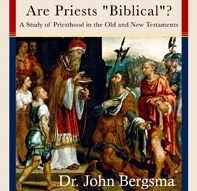 with Patrick Coffin this afternoon/evening 6pm EDT (3pm PDT) discussing "Are Priests Biblical?" I'll be working through material that I cover on my CD set on this issue, available here. The outlines are a free download.